This great system rotates with a quiet 7RPM motor and comes complete with 12 alligator pin clips to hold flies while applying finish. 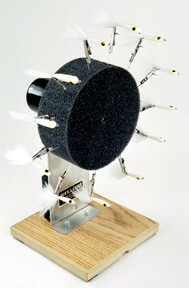 The perfect solution for drying flies tied with epoxies or finishes. 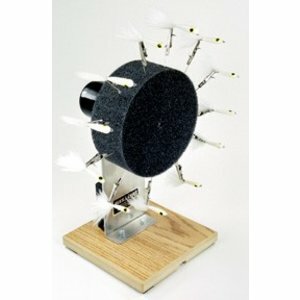 This great system rotates with a quiet 7RPM motor and comes complete with 12 alligator pin clips to hold flies while applying finish. Stick the pin clips into the foam wheel on the turner. 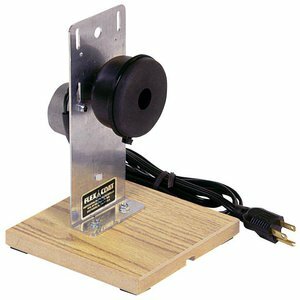 The heavy duty motor runs hundreds of hours on 4 AA batteries which are not included. A great product!